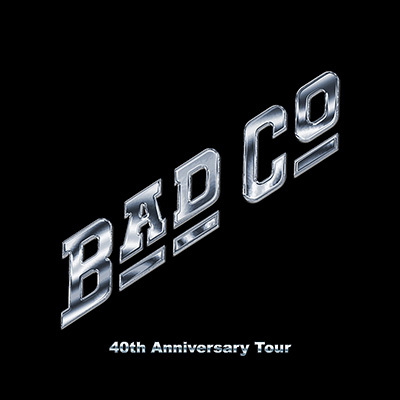 We are offering limited-edition, high-quality CD sets of Bad Company live in concert, officially commemorating their 40th Anniversary Tour. Not only will these two-disc sets be packaged in super high quality DigiPaks with special foil stamped "Bad Company" logos, but they will also come with an exclusive brand new interview with the band conducted by longtime radio personality Redbeard of 'InTheStudio". These individually-numbered products will be limited to a few hundred copies per show, and are guaranteed to sell fast. To ensure that you will be able to receive your copy, make sure to reserve your copy below! Product availability is subject to the date of the concert. Even if you cannot attend the show you can still order products and we will ship them to you! For shows that have not yet occurred, you can order "pick up" items (those items where you will be attending the show). In doing so, you are purchasing a printable voucher which may be redeemed at the concert you attend to pick up your product. IF YOU DO NOT SEE "PICK UP" ON THE SHOW YOU WANT TO PURCHASE, THIS MEANS THE ONLY OPTION AVAILABLE IS TO HAVE IT SHIPPED HOME TO YOU. HOWEVER, IF YOU ATTEND THE SHOW, YOU MAY STILL ORDER YOUR COPY AT THE SHOW AND TAKE IT HOME THAT NIGHT. For "ship home" items, we make every effort to send the master recordings to the fulfillment house within 3 business days of the specific show. Therefore you should allow up to 5 business days for processing, and additional delivery based upon your chosen method of shipment. SELECT "PICK UP" ONLY IF YOU ARE ATTENDING THE SHOW AND WISH TO PICK UP THE ITEM RIGHT AFTER!